How is your learning going so far this year? It’s an amazing transition time we are in and this time is always challenging. As an Aquarius rising my personal life challenge is to share my Aquarius self and my Aquarius filter. It always has been and now I am understanding this more. and it may be your perspective too…. it may still be felt as potentiality. that is what gives rise to our creative kaleidoscope of a world. and to accept our differences. We are where we are and I understand that saying numbers and colours have a vibration makes some people feel ill…..
had a conversation with someone a while back about that and they got very defensive and then went on the attack. Often our ego tries to destroy what it perceives as a threat…..
as a new world looms that is so often radically different to the one our mind knows. then a sabotage will occur for a reason. The way of the initiate is to know when to push forward and when to hold and this is learned over time when we are on the road to nowhere. All those dearly beloved gathered here today signed up for this cosmic trip…..
otherwise we wouldn’t get a fresh outlook and to play and discover and explore would we? When we are ready for this extra info it arrives ready to explore. Would you choose in advance some of the key learning curves of your life? We often live in resistance to what is…. They are here aren’t they ? Who are we to know the amazing workings of divinity ? we often feel reactive and a dandelion seed blown by the wind. by following the cosmic cookie trail. This is offered to you from the heart and it is what I know so far. 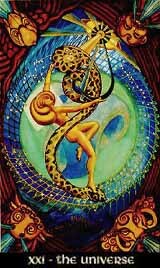 In the Ancient Egyptian times there was much ado about Thoth and Aleister Crowley and Lady Frieda Harris created The Tarot Thoth deck and lots of books on the subject. I have just acquired a deck and did my first Mayan spread last night…. more of that later. He had a connection to Glastonbury and one such connection was Dion Fortune who lived here and is buried in our cemetry. When I first came here I started reading her books and went to visit her grave. I have learned a lot from her and still learning. If you feel drawn check out her books – they are experiential and create profound transformation in the reading. through whoever’s energy circuit and level of understanding…. and so the human was found, the secret books recovered, the person and family punished and sealed in a tomb. A common theme in our collective story and myth world library. only the pure of heart can access and ascend the tree of life. from those that would seek to use it from an ego space. Now it’s the time you be accessed by more and more people. and you will know in your heart that you are…. and are willing to do what it takes…..
and so each of us is ready to birth it. I always question myself and am open to learning. and you embed a code or put a link to add it to your blog. If you play computer games they have a code. You can be in a virtual world fairly free to roam where you will and you will encounter lots of code – only it doesn’t look like code it looks like landscape or a bird or a person. So it is in our game of life. On a very simple level we beamed in at a certain time to have a certain experience and be part of a bigger picture production. This film has been upgraded recently with a different code and some interesting product placements and subliminal codes to sell things which is very much today’s consumer lifestyle world. I prefer the old version in many ways. We design our trip in advance. If we want to change this code and have different landscapes, animals and people show up then we have to do something new with our child code. Often as a child we have created safety programmes designed to allow us to be kept safe in a practical way and yet in a heart way they are very inauthentic as to our spirit and heart knowing. The child learns code to survive basically by adopting codes of fear based games. This continues until the child decides to do whatever it takes to live from the heart instead of from the ego. This is the tipping point and it is often triggered at certain times in alignment with the universal divinity code. As the universal cycle moves we are always at a point of choice to stay as we are or create new code. If we have been hurt by a man in our lives we have a code for that. If we have had uncomfortable relationships with women we have a code for that. To change the code we have to let go of the emotion that was encoded with the experience because it has been anchored. We cannot create a different game simply by knowing that with our mind. Remember the pure heart accessing the tree of life wisdom? There is no judgement in our universe save for what is created by the ego in the human mind. Things simply are what they are and we all place meaning on them. and when we do this inner work we ascend and are free. We have faith in us. with all the code to match. If we have a belief that people are unjust then we will get lots of game codes to show that in our day to day. we have let go of our anger and vitriol. Imagine a street in a village and one side has parked cars in one section and on the other side the same only lower down. If traffic only flows one way then the lane with the stopped traffic will eventually build up a tail back. This tail back will get bigger until the moving lane cannot get through either so they stop and when enough space is created then again it’s time to stop and let the other lane through again. Giving and receiving in balance creates flow. The same is true of all things. Money coming in and going out. When we focus on connecting to the code we start to see patterns. There are no “good ” patterns or ” bad ” patterns. That’s the mind coming in to measure and label. What we can do is choose an outcome we want to create. and I share it with others. There used to be a coaching saying…..
it isn’t where you are now……it’s where you want to be. it is where you are now AND where you want to be. and being happy now is the secret. only sometimes we forget for a while. The more we allow ourselves to receive the more our self worth and esteem grows from within. In our lifetime we are the fool over and over and we set off on a great adventure. Each drop of the universe has the universal code in it at heart. This is the microcosm within the macrocosm. So now is the time to tune in to more awareness of our code and creating the life we want to live and taking action and choices that support that. and sometimes that is avoidance of facing our shadow. however she is here so it’s clear that the time is perfect for her revealing. Here is a fab website illustrating this. the more we go with the universe and the more we flow with the universe. and we get to transit easier through these challenging times. and we can also arrange a chat on skype to discuss where you are now…. If you would like to know more about The Mayan spread for Tarot get in touch. It’s an amazing way to blend different circles of influence. My Mayan Thoth reading was so perfect for yesterday when I created it on Red Crystal Skywalker day. I will create a document and share it soon. What an amazing magical world we live in. Thank you to everyone who shares so much wonderful info and websites that make my blogs possible. Love to you all and your Blue Eagle 13 days of mystical vision quest.